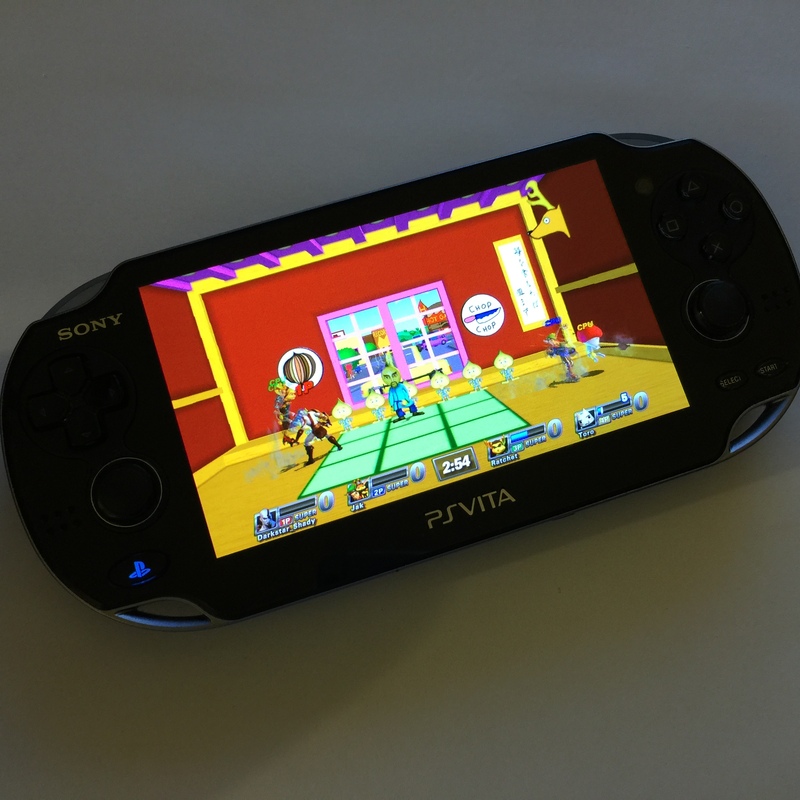 PlayStation All-Stars Battle Royale in a four player match on the Dojo stage, played on a PlayStation Vita on November 14. The idea behind this new column, entitled Replay Review, is to go back and play older games that I have missed out on the first time around for various reasons. Most of the games that will be featured will be games that I’ve found on sale, used in different shops or sitting around in thrift stores. There will be a few exceptions to this simply because there are some games that I just don’t want to pass up any longer. The first game to be featured is PlayStation All-Stars Battle Royale, which I bought last holiday season for my PlayStation Vita on Amazon.com for around $5. The current list price of the game is $13.69, which still puts among the cheapest Vita games. PlayStation All-Stars is an obvious comparison to the Super Smash Bros. fighting games. Having never owned those games, I found them fun when playing over at a friend’s house. Being more on the side of Xbox 360 than PlayStation, I wasn’t overly familiar with many of the characters on the game, but it was nice to see some PlayStation classics such as Parappa the Rappa, Heihachi (Tekken) and Spike (Ape Escape). Some of the other big-name PlayStation stars include Kratos (God of War), Sly Cooper and Nathan Drake (Uncharted) for a well-rounded PlayStation roster. However, despite having never played LittleBigPlanet, I found myself drawn to playing through the game as Sackboy. Arcade mode is just the same as any other fighting game: you pick your character and find through a number of stages of increasing difficulty. It starts off in 1v1, up through a four player battle royale. The game is almost painfully easy on the two lower settings: Hero and Legend. All-Star (the highest difficulty) was hard my first play-through. However, after practicing a bit more it is a more level playing field, but still too easy. The stages themselves vary in style; some are flat, while others have platforms and pits to jump into. There are a lot of vibrant colors that do well to make the game look fun and competitive with Smash Bros.
Online play at this point is nearly non-existent. I have not been able to find any games to join in a few tries throughout the day. Though there isn’t too large a difference between button-mashing against the AI and strangers across the globe. One knock against the Vita is that when in a complete four player matchup, the characters can get spread out enough that it’s a bit harder to follow all of the action on the five-inch screen. I especially recommend it to anyone looking to round out their Vita game collections, since the pool available isn’t overly large.